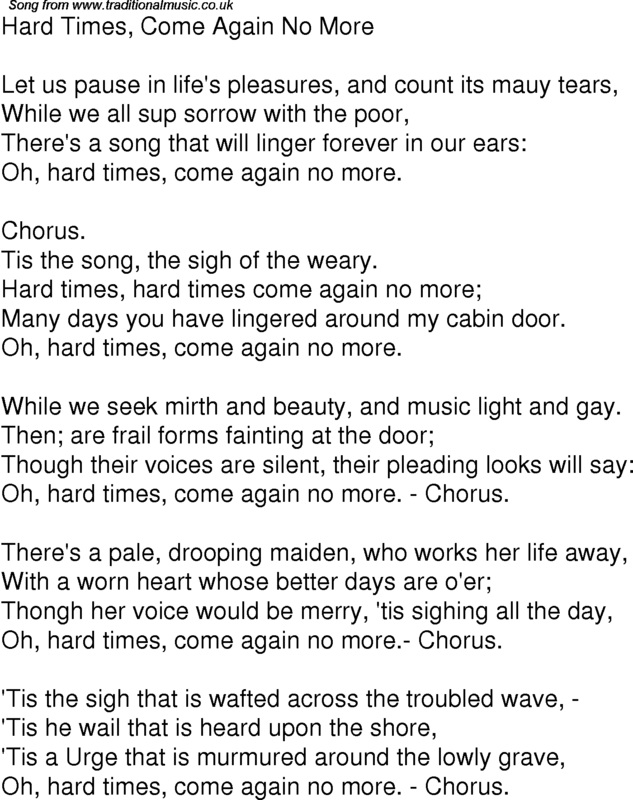 Tis the song, the sigh of the weary. Many days you have lingered around my cabin door. While we seek mirth and beauty, and music light and gay. Oh, hard times, come again no more. - Chorus. Oh, hard times, come again no more.- Chorus.